In case you missed it – more guests were added to this year’s Official Power Morphicon convention! Most notably is the first Power Morphicon appearance of Deborah Phillips better known as Katie the Time Force Yellow Ranger. Power Morphicon runs August 12th-14th 2016 in Pasadena, California. Check out the new list of guests below! There’s bound to be even more guests at this year’s show so stay tuned for more updates! If you haven’t, please take a moment to register and join us at the official convention for Power Rangers – Power Morphicon! Click on the discussion link to check out ALL the confirmed guests for this year’s show! To those who followed the events of the cameo invites, uninvites, and not-invited for Power Rangers Super Megaforce then you already know that Matt Austin, who played Bridge the Green Ranger in Power Rangers SPD, and his fellow cast members were hurt that they weren’t invited to take part in the official reunion. The cast spent a couple of days joking about making their own reunion. Well, looks like the joke is now something they want to make a reality. Matt Austin is asking fans to create a story/script for this 22 minute fan-film. Once a story/script has been settled on, they would start a Kickstarter fundraiser, and if the funds are matched for what they’d need, they would film it for the fans. Do note, they won’t be able to morph in to the Power Rangers SPD (for legal reasons), but they will still find a way to have plenty of action and excitement in this 22 minute fan-film. You have until September 2013 to submit your story/script, and more details will follow at that point. Click here for the official details and how to submit your story. 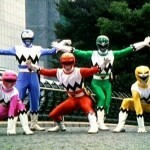 This is slowly but surely turning out to be a really awesome year for Power Rangers fans! 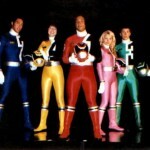 Let’s hear it for the cast of Power Rangers SPD for trying to give back to the fans one last time.